Taking advantage of the on-going political unrest across the country, the outlawed Islamist militant outfits may thrive on the situation, detective sources said. Activists of outlawed Islamist militant outfits such as Jama’atul Mujahideen Bangladesh (JMB), Harkat-ul-Jihad-al-Islami (Huji), Ansarullah Bangla Team and Hizbut Tahrir may fish in troubled water now, the sources added. Militant kingpins like Major Zia, Saleheen, Boma Mizan and Musa – who are expert in making bombs, firing sophisticated arms and throwing high-powered grenades - still remain out of the reach of the law-enforcers. In the situation, panic has spread among the common people of the country, as the ruling Awami League and the major opposition party BNP have been engaged in a showdown over BNP chairperson Khaleda Zia’s conviction in a graft case. According to the police record, a total of 318 cases were filed on charges of militant attacks and attack-attempts across the country, in which over 1,000 people were accused in the last three years. Of them, some 325 accused, including 87 who got bail from court, went into hiding and still remain untraced. 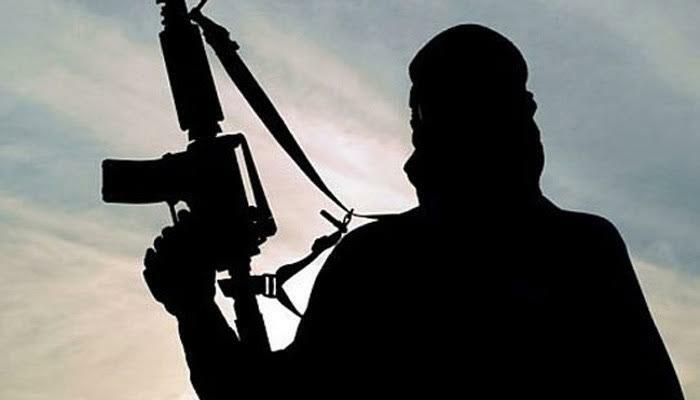 Of the runaway militants, 67 are JMB activists, 38 are Ansarullah Bangla Team activists, 52 are Huzbut Tahrir activists and 32 are Harkatul Jihad activists. Major Zia has reorganised militant group Ansar Al Islam. It is currently one of the two most active militant outfits in Bangladesh. Arresting its top leader has become a big challenge for the police. The counter terrorism officials said Ansar Al Islam and Zia may pose a threat to the country’s peace-loving people in future. Intelligence sources said the runaway leaders and activists are trying to regroup for carrying out subversive activities in the country. “They’re collecting sophisticated arms from foreign militant groups to carry out fresh attacks in the country,” the sources added. The law enforcers are working hard to detain the absconding militants, said Dhaka Metropolitan Police (DMP) Commissioner Asaduzzaman Miah. The DMP commissioner further said the law enforcers, both uniformed and plainclothes detective police, are now hunting for the absconding militants in the capital and elsewhere in the country. Conducting separate operations, the law enforcers have so far killed at least 57 suicide squad members, including Tamim and Marjan, and arrested over 100 militants since the Holey Artisan attack to latest raid on Nakhalpara militants’ den in Tejgaon. But many of the listed militants, including Major Zia, JMB men Boma Mizan and Saleheen, still remain untraced. Amid growing militant activities, the law enforcers comprising both uniformed and plainclothes detective police and Rapid Action Battalion (RAB) have reportedly intensified their hunt for the runaway militant activists, the DB sources said. As part of their move, the RAB personnel seized a huge quantity of arms and ammunition in an overnight raid on a remote village of Banskhali upazila in Chittagong recently. While briefing the media, RAB-7 Commander Colonel Miftah Uddin Ahmed said they have unearthed a training camp of militants in the deep forest near Sadhanpur village, 2.5 kilometres off the Chittagong-Banskhali road. The striking team also arrested five people there. The RAB-7 commander said the arrested were given primary arms training at madrasa. Then they were taken to the militants' den at Banskhali, which was operated in the guise of a dairy farm, for higher arms training. "These trainees have been collected from different parts of the country. Later, they were taken to the training centres through Shonkhola and Kanchanabad villages of Satkania," he added. In such a situation, members of the DB police, RAB and Special Branch (SB) are now working in the capital and elsewhere across the country to know about the secret activities of the militants.